Rare sewing machine - The Handy. 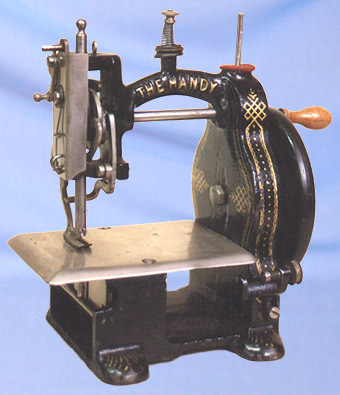 Whilst of small proportions, this UK-produced lockstitch machine was intended as a portable domestic model. Manufactured by Harpur & Mason, and called "The Handy", the machine has strong links with the short-lived "Cookson" manufacturing concern. Circa 1890.